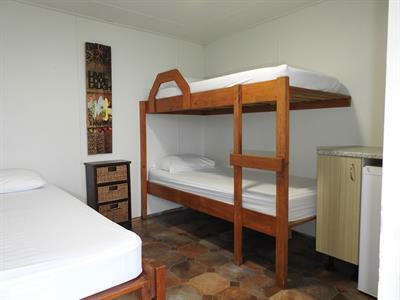 Standard Unit 6 sleeps up to 3 people with a single bed and a set of bunks all in one room. All the basics are there, including a fridge, kettle and toaster. For the toilet, shower, and cooking facilities, you can rely on the tidy camp facilities. They are located next to the unit. 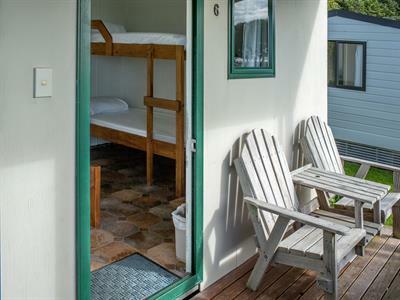 Your accommodation is centrally situated in the park. 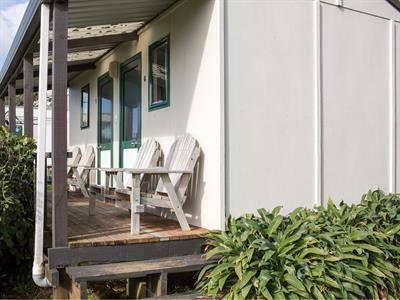 The BBQ and picnic spot and a large grassed area can be found just outside your door. 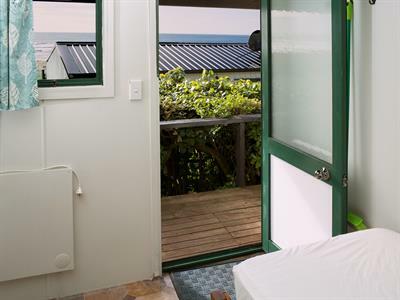 You’ll wake up to the sound of the waves and from your deck you can enjoy the most stunning sea views. The beds have a mattress protector, bottom sheet and pillows. We advise you to bring your own bedding if you choose to stay in Unit 6. Alternatively, you can hire bedding from our office. For this, we charge $5 per person.